The Delux Collection BFD2 Expansion Pack takes BFD2 to the next level. 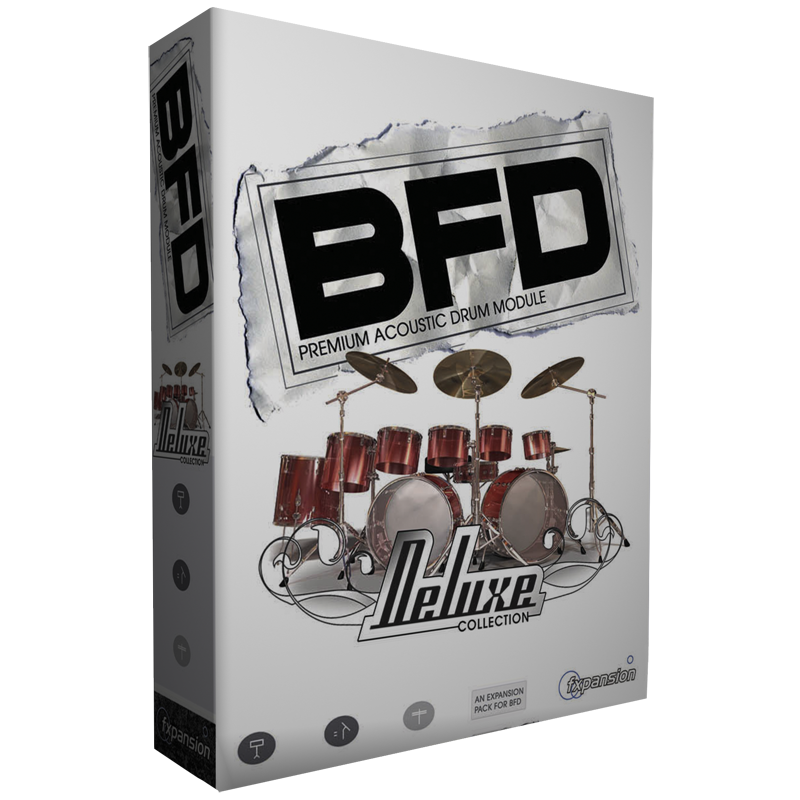 Although BFD2 is already loaded with great samples and amazing articulations you may be looking for a little extra variety and a little more punch. The Delux Collection contains an amazing 55GB of samples. Some drum kits to note are three vintage Ludwig kits, as well as more modern kits including DW Black Oyster Pearl, Yamaha Pro Tour, Gretsch USA Maple, Sonar Designer, and BackYard Drums just to name a few. Delux Collection features diverse drum articulations for rides, ride bells, crash cymbals, splash and china cymbals. Truly amazing are the Zildjian hi-hat samples at closed, quarter open, half open, three quarters open, and fully open, to give your hi-hat parts the expression and realism of a true drummer. This expansion pack was recorded at Steve Albini's Electrical Audio studio in Chicago and focuses on in your face, punchy drum samples available at 128 layers of velocity for extreme control and expression. The samples were recorded in a tight, focused room and are designed to cut through any mix. The microphone placement and recording process for these samples was carefully designed to give the collection that extra edge. A diverse selection of microphones was used including Royer, Josephson, and Altec microphones, and the signals were routed through Electric Audio's Neotek custom preamps. Delux Collection is applicable to almost any genre of music but is well suited to the genres of rock & roll, country, and metal. If you already have BFD2 then you know how amazing and realistic this piece of software can be. Add a few expansion packs and you have truly unlimited drum and percussion possibilities just a click away.